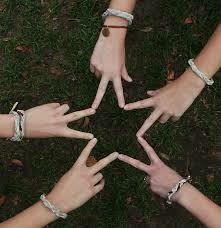 Friendship day is a day on which we celebrate the most important relationship in our life . Have you ever met someone or some people that you just connected with right away I am not talking about Soul Mates.just normal, regular human beings that made quite an impression on you. Those people that are just THEMSELVES without having to try so hard to BE someone theyare not. The GENUINE people.! Am I rambling. Probably, but thisis not the first time I have done that!So here is the reason for this particular article about these Genuinely Attractive people. Now, I am not using the word attractive in reference to their looks, although they are beautiful people in that sense as well, but that not WHY I am attracted to them. I have seen their spirits within through their words only since I have never met any of them in person. They have still made quite an impression on my spirit and life and I am amazed at their different talents.